Right behind the more high-profile (and more controversial) final night of the final Freakin’ Weekend fest, another show just as deserving of your attention is happening tonight, March 11 at Cafe Coco. Dubbed “Nashville Emo Night” (but not the DJ kind), four fantastic touring acts are stopping over on their way to SXSW, and for just $10 you can catch ’em all in one tiny spot. 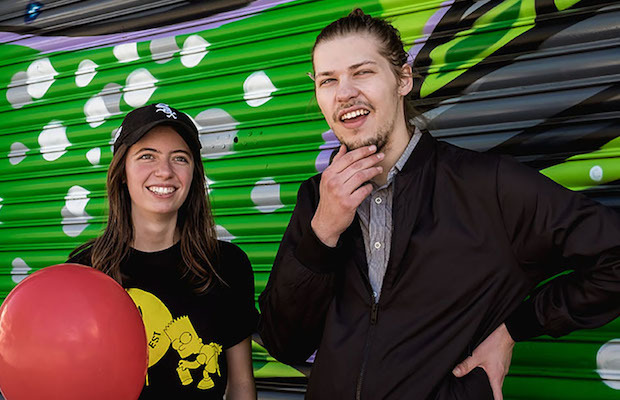 Hailing from Chicago and achored by duo Julia Steiner and David Sagan, Ratboys‘ earnest, indie rock sound is laced with country influences; an interesting mix, but one that works incredibly well. The group’s debut LP, AOID, arrived in 2015, so expect to hear some new tunes! Labelmates at Topshelf Records, Pennsylvania’s Slingshot Dakota, also a duo, blend emo and indie pop influences to captivating effect, their most recent LP, Break, one of our favorite releases of last year. Midwestern rockers Looming are another exciting fixture in the indie scene who’ve been grabbing our attention over the past few years with their poppy, emotionally charged style and amazing live presence. Finally, opening things up, late addition Sinai Vessel started as a solo project have since morphed into a proper band, their latest and brand new LP Brokenlegged a gorgeous, nuanced, and layered work of indie/emo rock. We can’t stress enough how much talent this is in one place, and if you’re a fan of emo-adjacent indie rock and pop, you can’t beat this opportunity to catch four of the scene’s finest touring acts! Ratboys, Slingshot Dakota, Looming, and Sinai Vessel will perform tonight, March 11 at Cafe Coco. The show is all ages, begins at 7pm, and tickets are available to purchase at the door for $10.